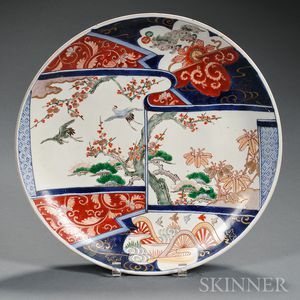 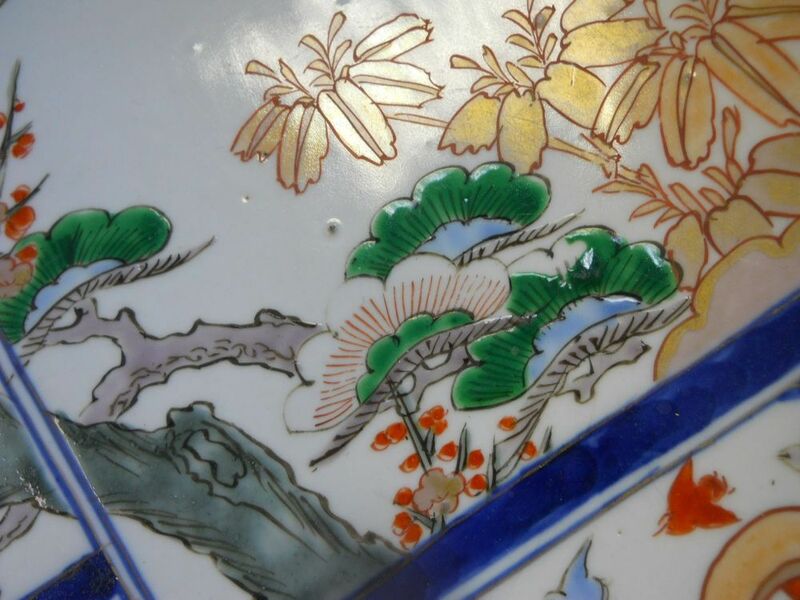 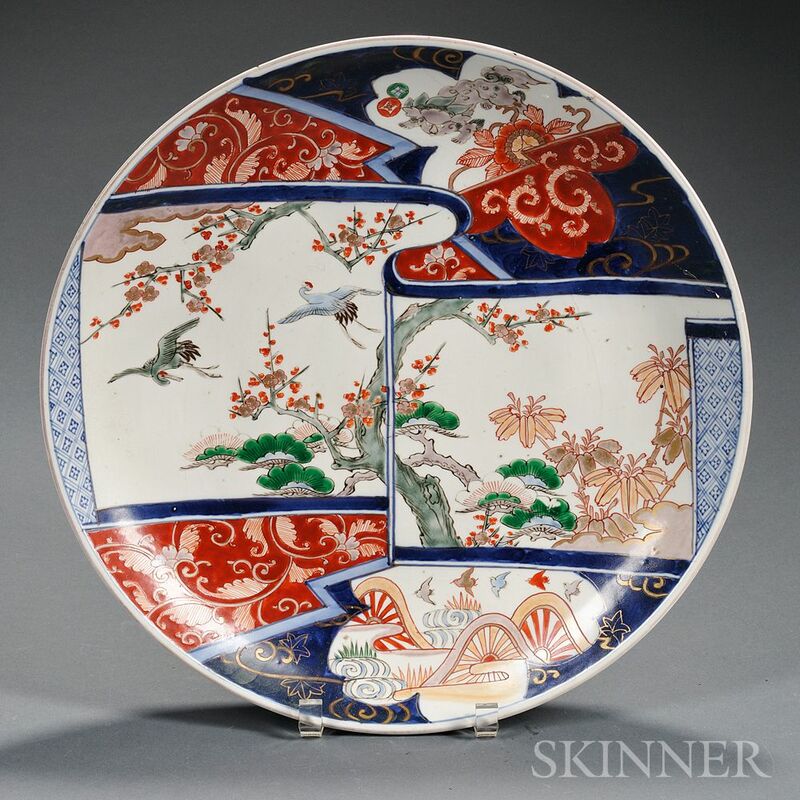 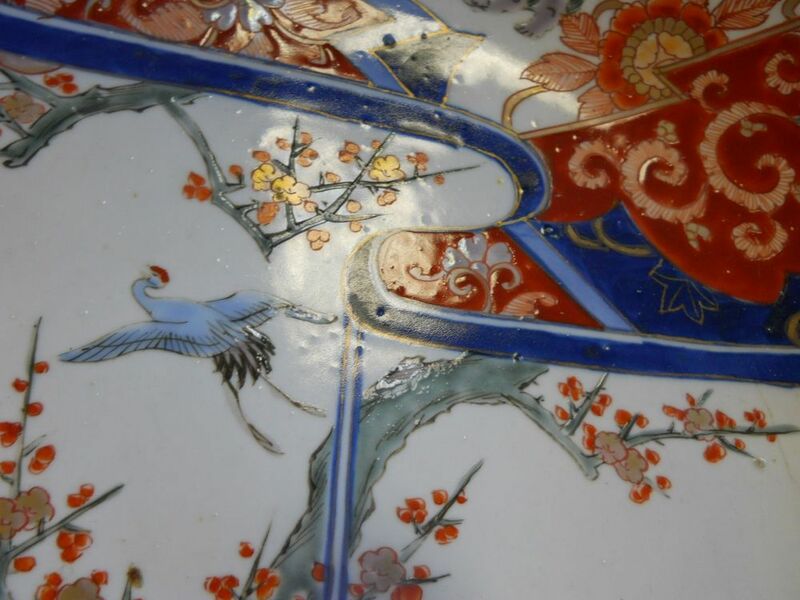 Imari Charger, Japan, decorated with flying cranes above pines and blossoming plum trees in polychrome enamels and gold on the interior, three stylized floral scrolls in underglaze blue to the exterior, dia. 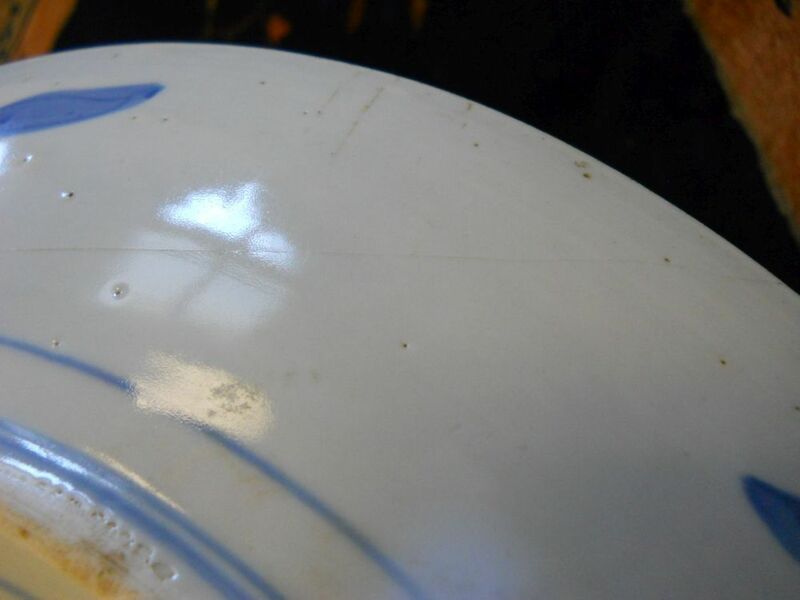 14 3/8 in. 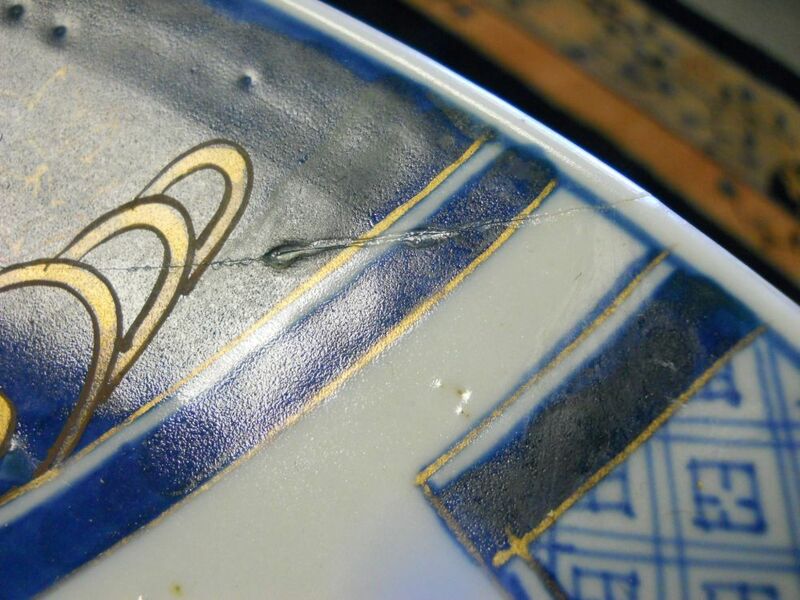 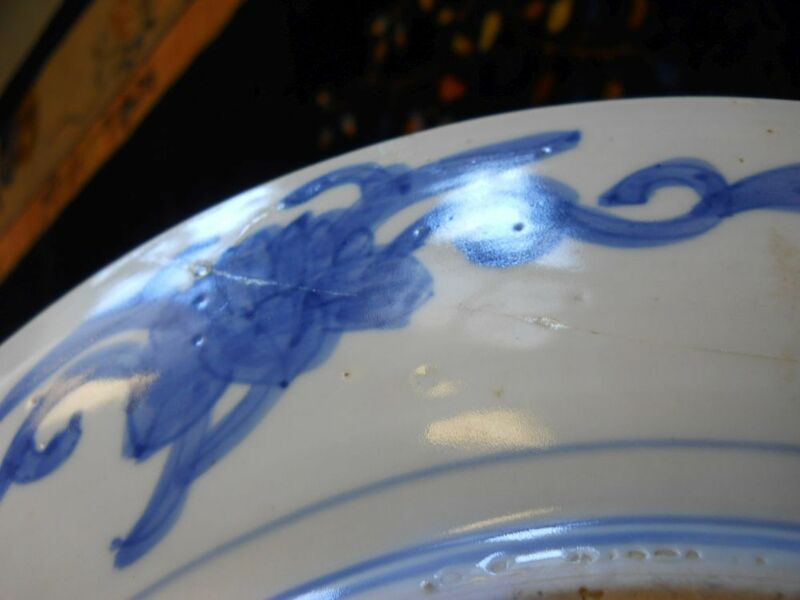 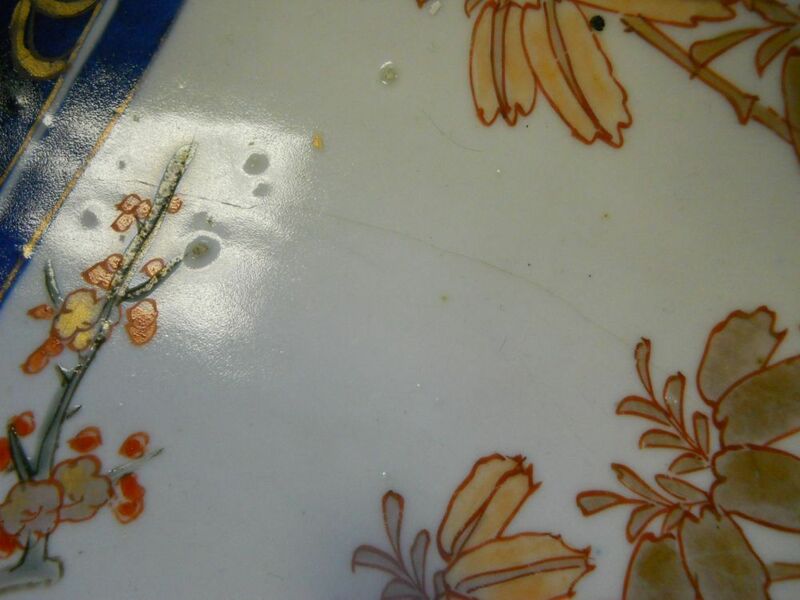 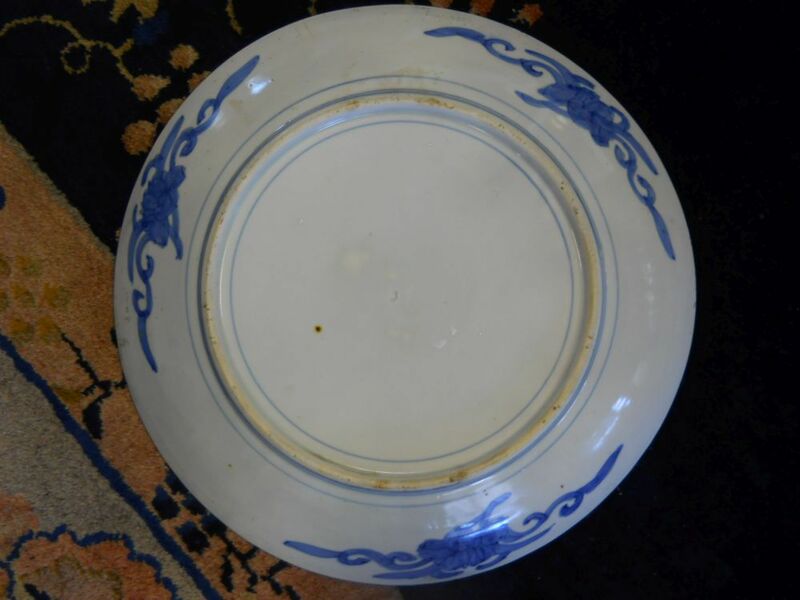 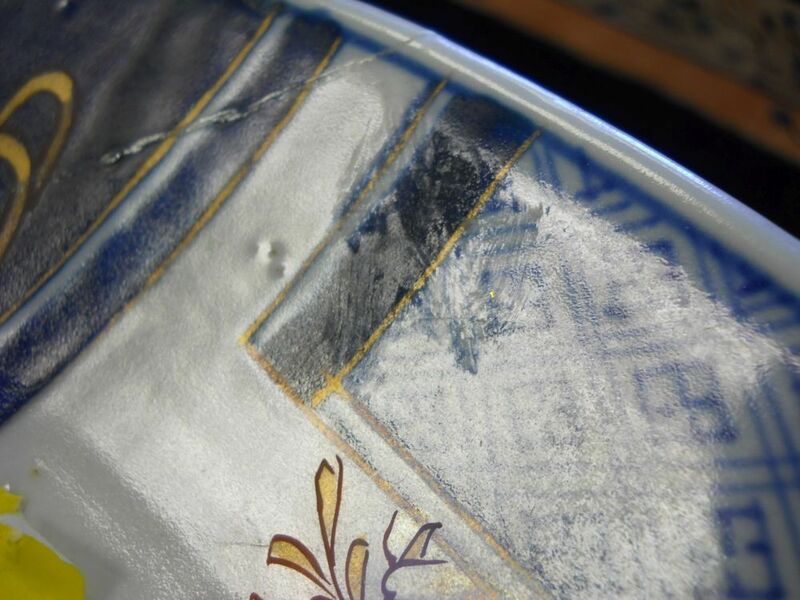 cracked and repaired rim, a chip to rim, surface stain, and loss of enamel.